The second chapter of Crucible of Pueblos discusses the Central Mesa Verde region, which is defined as basically the southwestern corner of Colorado, bounded on the west and south by the modern borders with Utah and New Mexico, on the east by the La Plata River valley, and on the north by the highlands north of the Dolores River. 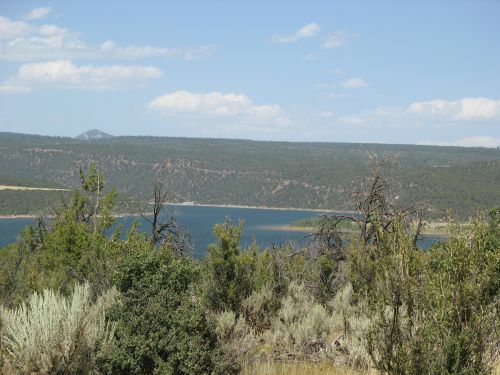 This is the region where Pueblo I period villages have been most extensively studied, primarily by the Dolores Project during the construction of McPhee Reservoir in the 1980s and in subsequent research by archaeologists building on that work. As a result, there’s not a whole lot that’s new in this chapter for someone who has been following the literature on this topic, although it does make a good introduction to the subject for someone who hasn’t. 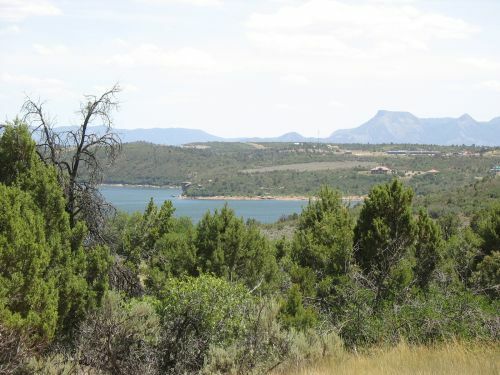 It also discusses some parts of the area, especially the northern and eastern fringes, that have seen much less research than the well-studied Great Sage Plain (including the Dolores sites) and Mesa Verde proper. 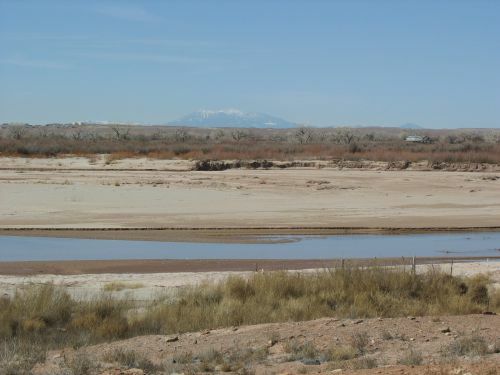 Overall, the data assembled here is among the most detailed and reliable available to analyze demographic trends and population movements during the Pueblo I period in the northern Southwest. Among the key factors that the authors discuss are the inherent attractiveness of this region to early farmers because of its good soil and relatively favorable climatic conditions compared to other nearby areas. 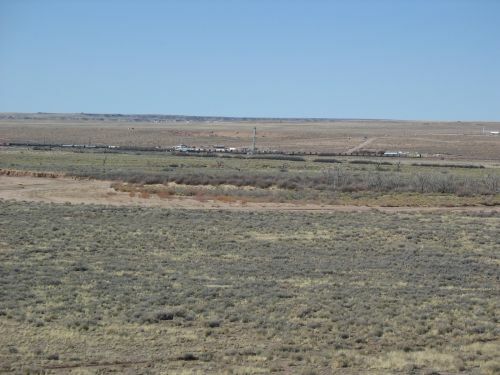 Indeed, this is the only part of the northern Southwest that has seen extensive dry farming in modern times, and it is still primarily agricultural in use. This makes it unsurprising that early farmers would have concentrated here, as indeed they did, starting in the Basketmaker III period ca. AD 600 and increasing steadily in population through about 725. These early sites generally consisted of scattered hamlets presumably housing individual families. Villages, which in this context means clusters of multiple residential roomblocks in close proximity, began to appear around 750, often in association with great kivas, which had previously been rare in this region for reasons that are unclear. Villages to both the west and east, discussed in subsequent chapters, date to the same period as these early ones in the Central Mesa Verde villages, and there was a striking variety in community organization and layout across the broader region. The dissolution of the eastern and western villages seems to have contributed to an influx of population into the Central Mesa Verde area in the early ninth century, resulting in the largest and densest concentration of population seen to that date. Village layout also became more standardized, with two main patterns dominating, one associated with great kivas and another including U-shaped roomblocks that were likely ancestral to later “great houses.” These villages, most extensively documented at Dolores, were however short-lived, and by the early tenth century the area was almost completely depopulated, with the former inhabitants apparently moving primarily to the south, into the southern part of the San Juan Basin, where they seem to have played a key role in the developments that led to the rise of Chaco Canyon as a major regional center in the eleventh century. As I said before, none of this is groundbreaking information at this point, and I’ve discussed some of the implications of the Dolores data before. It is however useful to have a synthesis of this region during this important period to refer to, and this chapter works well for that purpose. Although the stages are generally interpreted as chronological rather than developmental these days, there is still a general sense of what sorts of sites are “typical” or expected for each stage, and this has driven a lot of the variation in specific date ranges. Basketmaker II sites are generally associated with corn and squash agriculture, a scattered settlement pattern, lots of basketry but no pottery, and the use of the atlatl. In Basketmaker III this pattern was adjusted by the introduction of the bow and arrow, pottery, and beans, and people began to cluster in some cases into pithouse villages, although there were still many isolated hamlets in some areas. Pueblo I was something of a transition between Basketmaker III and Pueblo II, with the first construction of significant above-ground architecture in addition to pithouses. Pueblo II was associated with masonry roomblocks and kivas, generally organized as “unit pueblos” of a few rooms with a kiva and trash mound in front and loosely grouped into “communities.” The height of Chaco dates to this period, and within the area of Chacoan influence these communities typically had great houses in addition to the unit pueblos but separate from them. In Pueblo III people began to aggregate into larger, denser communities more like the “pueblos” of historic times. The cliff dwellings at Mesa Verde and elsewhere date to this period and are the best known of these aggregated sites, but there were many others in a variety of locations. At the end of the Pueblo III period almost all of the Four Corners area was abandoned and people aggregated further into even larger pueblos in the Rio Grande Valley and the Zuni and Hopi areas to the west, in addition to a few other areas. The Pueblo IV period is marked by the increasing concentration of population into ever-larger sites and the clustering of these sites in particular areas separated from other clusters by uninhabited “buffer zones.” This period also saw the apparent introduction of the kachina cult and various other novel social phenomena, and it continued until the Spanish showed up and smashed everything. That’s the picture in a nutshell, but some periods are better-known than others. Pueblo II and III have been particularly well-researched in the Chaco and Mesa Verde areas, although there is still plenty that remains unknown about them. In contrast, Pueblo I was very poorly understood until the Dolores Project in the 1980s totally revolutionized our knowledge of it. 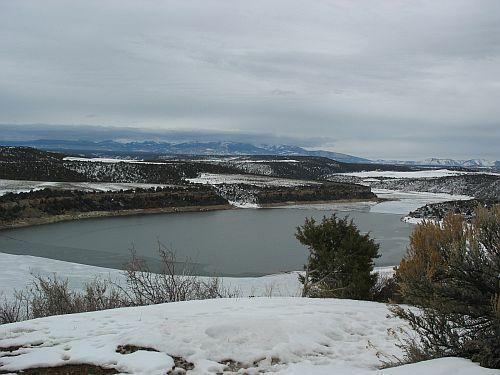 This project was a massive cultural resource management (CRM) salvage project in advance of the damming of the Dolores River and the creation of McPhee Reservoir. At the time it was the largest CRM project ever, and it might still have that distinction. Numerous sites in the Dolores River Valley were excavated carefully and thoroughly documented. It’s impossible to overstate how much our current knowledge of the Pueblo I period is based on the discoveries made at Dolores. What the project found was that the Dolores Valley, although sparsely occupied both before and after Pueblo I, during Pueblo I contained numerous large, dense villages, most of which only existed for a very short period of time during the AD 800s. As research continued throughout southwestern Colorado, it became more apparent that these villages were just part of the story of the incredibly dynamic Pueblo I period. People were moving all over the place, very rapidly, and forming and dissolving villages within the space of one or two generations. Abundant evidence for drought and conflict at certain key points during the period provided some explanation for why, but the really important thing that came out of the Dolores Project specifically was the detailed study of some of the specific villages that allowed reconstruction of their short histories with remarkable precision. On a larger scale, it appears that the Pueblo I period involved the movement of people into higher elevations than they had occupied during Basketmaker III, followed by movement back down after 900 and into Pueblo II. While areas with Pueblo I villages typically didn’t have substantial earlier or later occupations, many other areas (including Chaco) had major Basketmaker III and Pueblo II occupations but little evidence of use during Pueblo I. This probably had to do with climatic changes, but there were clearly also a lot of social processes going on as well. Since the rise of Chaco as a regional center began right after all of this, Chacoan specialists have been realizing recently that the evidence from Dolores is very important as background for understanding Chaco. Particularly influential in shaping understandings of Chaco has been one of the Dolores villages in particular, known as McPhee Village. 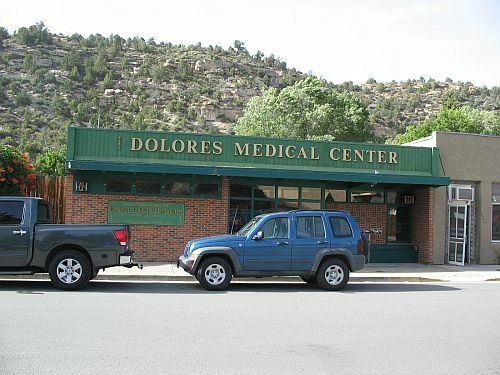 Like the other Dolores villages, McPhee was founded around 840 as people began to move out of earlier villages further south around Mesa Verde and Durango. Not everyone from these earlier villages went to Dolores (an important point), but many did, and the Dolores villages grew rapidly, only to decline just as rapidly as people moved out starting in the 870s and continuing until around 900, at which point there was only a very small remnant population in some of the villages. The remarkable thing about McPhee Village was the presence of some roomblocks there that bore an uncanny resemblance to the early “great houses” that would arise in the San Juan Basin to the south, including at Chaco, shortly afterward. Not all of the roomblocks were like this; most were small, linear unit pueblos typical of those in most other villages. Two roomblocks in particular, however, known as McPhee Pueblo and Pueblo de las Golondrinas, looked astonishingly like the early form of Pueblo Bonito. They were arc-shaped rather than linear, with two arcs making up McPhee Pueblo and Pueblo de las Golondrinas consisting of one larger arc. (Note that “McPhee Pueblo” refers to a specific roomblock within “McPhee Village.” The terminology is confusing.) Furthermore, these roomblocks were made up of room suites consisting of three rooms, with one large room facing the “plaza” within the arc backed by two smaller “storage” rooms. The “plaza” area within each arc contained pit structures presumably associated with these suites. Again, this is much like the layout of Pueblo Bonito and other early Chaco great houses. These roomblocks were also made largely of masonry rather than adobe, in contrast to most earlier sites as well as many other Dolores villages, which again linked them to the later Chaco sites. A variety of studies have been done of these sites, particularly focused on what differentiated them from other roomblocks at McPhee Village. 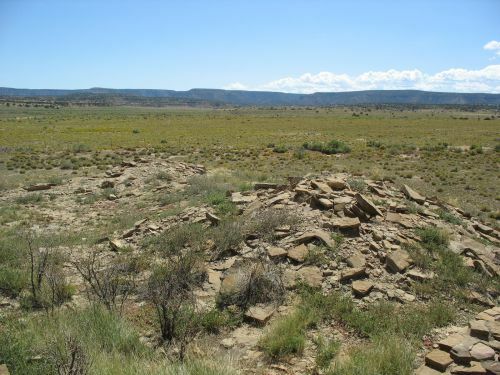 James Potter did a study of animal remains at McPhee Pueblo and Pueblo de las Golondrinas, looking for evidence that the residents of these sites might have hosted community-wide feasts and/or conducted special rituals, either of which could have been ways for them to gain social power within the community. Both sites contain, in addition to the standard residential pitstructures common at all sites in the village, special “oversized” pitstructures with more formal, elaborate features that could have served as special locations for feasts or rituals. He found that McPhee Pueblo did indeed have a much higher number of different types of animal remains present, including many “non-economic” species such as carnivores and certain birds that may have had important ritual uses. Furthermore, it had a higher proportion of rabbits than most other roomblocks, which is significant because among the modern Pueblos rabbits are often hunted communally and eaten in ritual feasts. Interestingly, Pueblo de las Golondrinas, despite its size and the presence of an oversized pitstructure, did not have these characteristics, suggesting that its inhabitants may not have been as successful as those at McPhee Pueblo at hosting communal rituals and increasing their power. Another take on this question comes from an analysis of ritual architecture by Gregson Schachner. Starting from the assumption that times of significant environmental and social change, such as those that surely accompanied the rapid founding and dissolution of the Dolores villages, offer opportunities for ambitious individuals or groups to gain power and influence by taking control of ritual practices or introducing new ones, he noted that unlike some other Dolores villages McPhee Village doesn’t have a great kiva, the standard community ritual structure both before and after the Pueblo I period. Instead, roomblocks like McPhee Pueblo and Pueblo de las Golondrinas have the oversized pitstructures that might have been used for special ritual practices that the inhabitants of those sites may have tried to introduce to their communities. Schachner assumes that these pitstructures were primarily ritual rather than residential, which I think is dubious, but otherwise his arguments make sense. He basically sees the process as having involved certain individuals or groups having tried to introduce new rituals that gave them increased status and power in the context of the convulsions of the Pueblo I period. Those rituals might have been adopted because they offered a new way forward during the drought that coincided with the founding of the Dolores villages in the 840s, but they might have lost their appeal as a new drought in the 880s led people in the village to reject the innovations of these would-be leaders. As the village dissolved, construction seems to have begun on a new great kiva over the oversized pitstructure at Pueblo de las Golondrinas. This great kiva was not completed, however, and the whole village was soon abandoned. Great kivas continued to be a key part of the new villages further to the south that appear to have absorbed many of the people leaving Dolores after 880, but the oversized pitstructure does not seem to have continued as a recognizable architectural form. 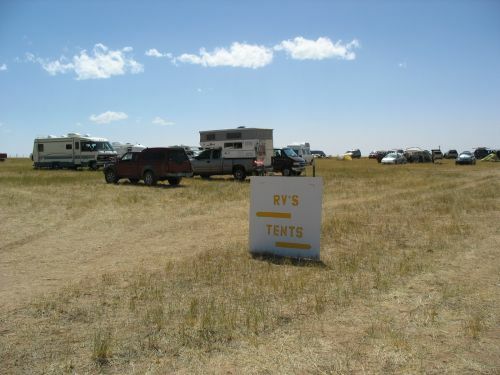 The great house form, however, which began to proliferate in the San Juan basin starting in the tenth century, seems to have some connection to the arc-shaped roomblocks at Dolores. 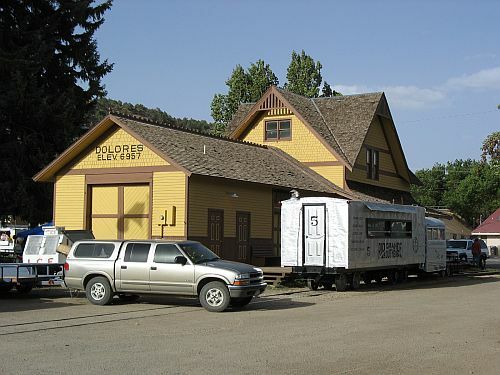 Recently, a model for the rise of Chaco incorporating the insights of the Dolores Project has begun to gain increasing acceptance. Under this model, the frustrated would-be elites from the Dolores villages moved south into Chaco and other communities and began to build similar structures to those they had lived in at Dolores. This time, however, circumstances were better, and they were able to gain more control over their communities. These communities were spread throughout the basin, but those in Chaco Canyon specifically eventually gained ascendancy over the others, and the Chaco Phenomenon was born. There is a certain logic to this, and parts of it are likely true, but it’s important to note that the timing isn’t quite right for frustrated elites from Dolores to have founded the first great houses at Chaco. The earliest parts of Pueblo Bonito are now thought to have been built by 860 and perhaps considerably earlier, while the Dolores villages didn’t start to dissolve until the 870s. It’s quite possible that later additions to the site in the 890s and early 900s involved immigration from Dolores, and indeed it is these room suites that are particularly similar to those at McPhee Pueblo. It’s worth considering, however, the possibility that the early history of Chaco involved people moving in from the south as well as the north, and we don’t know nearly as much about the Pueblo I period in that area. Were there large, unstable villages with ambitious families or individuals there too, or was something totally different going on that led people to head north at the same time people were heading south from Dolores? We can only guess at this point, but it’s important not to let our greater knowledge of developments at Dolores lead us to focus too much on it to the exclusion of other important areas. 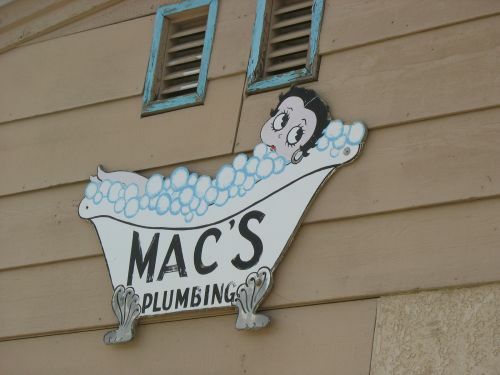 Dolores was very important, no question, but it wasn’t the only important place at the time.